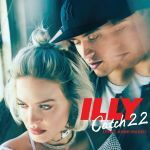 Another pretty good mainstream track from Illy. Good collaboration. I feel like I like this song far more than I should. Considering how I've felt about a lot of Illy's recent stuff, this team up didn't fill me with excitement. And the song is still filled with a lot of those typical problems: The production gets a bit wonky during the chorus (and when it's not, it's not doing much), Anne-Marie once again sounds unrecognisable, the whole song is built on a misunderstanding of what 'Catch-22' means (and for that matter it's not typeset correctly). But then I remember how much I really liked "Baby Blue" by Action Bronson in 2015 and realise that sometimes a super simple piano tune is enough to rope me in. <br><br>For a song about no positive outcomes (now that I think about it, for pop-rap, Illy has not been writing many uplifting songs lately), it just puts me in a good mood I guess. Recht artiger Pop-Song mit etwas Fingergeschnippe. Kann man sich schon ab und zu reinziehen. Nichts was wirklich hängen bleiben würde.